Standing over 2 1/2 feet tall, the Rocketarium Black Brant V is a large flying model rocket capable of altitudes in excess of 1700 feet on an F motor before returning back to Earth so it can be flown over and over again. 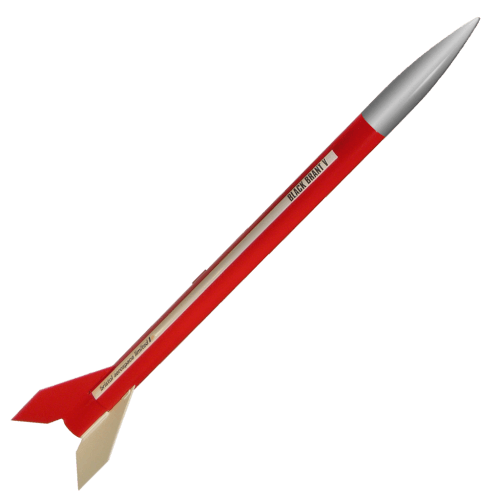 Unlike most model rockets, the Black Brant V contains an ejection baffle system which means that no recovery wadding is required for flight. Waterslide decals for both VA and VB version included.